Riau Island Province (comprising the Riau Archipelago, the Tudjuh Archipelago and the Lingga Islands) is located south of Singapore and stretches afar to Lingga Island, parallel to the Sumatran coast.Riau Islands are known for its heritage and history, made significant since the fall of Malacca Malay Sultanate and during the reign of the Johor-Riau Sultanate. It had also been known as the centre of knowledge and culture dissemination. When we arrived at Hang Nadim Batam Airport, we were welcomed with the warm greetings by representatives of Tourism Indonesia. I should say that I was quite surprised that they spoke the Malay language with same accent as back home in Kuala Lumpur. I was soon enlightened with the fact that the standard Malay language and accent, including the Malay customs so commonly used throughout Malaysia, actually originated from Riau. We were then taken around the city of Batam, which is smallish yet ambitious due to its aim in becoming one of the most developed cities in Indonesia. Its location has attracted many Singaporean tourists to its spas, golf courses and shopping centres, thus contributing to its boom in infrastructure and economy.We had our lunch at Golden Prawn 555, a restaurant built on a lake filled with sea water. 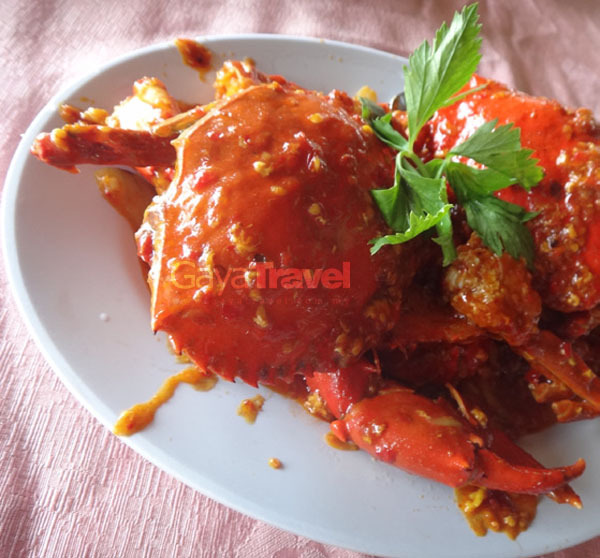 The most popular dishes on the restaurant’s Riau Island Province (comprising the Riau Archipelago, the Tudjuh Archipelago and the Lingga Islands) is located south of Singapore and stretches afar to Lingga Island, parallel to the Sumatran coast. Menu are the dog conch and chilli crab. 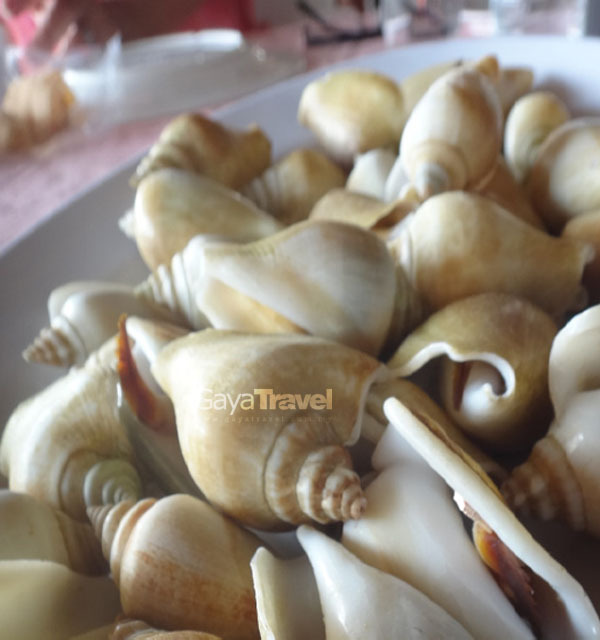 Dog conch, a type of edible sea snail, has become the trademark of Batam and Bintan.After the delicious and hearty lunch, we took an express boat to Bintan Island. We arrived there about 40 minutes later at Tanjung Pinang jetty. Tanjung Pinang is the capital city of Riau Island Province, where most of the government administration buildings are located. 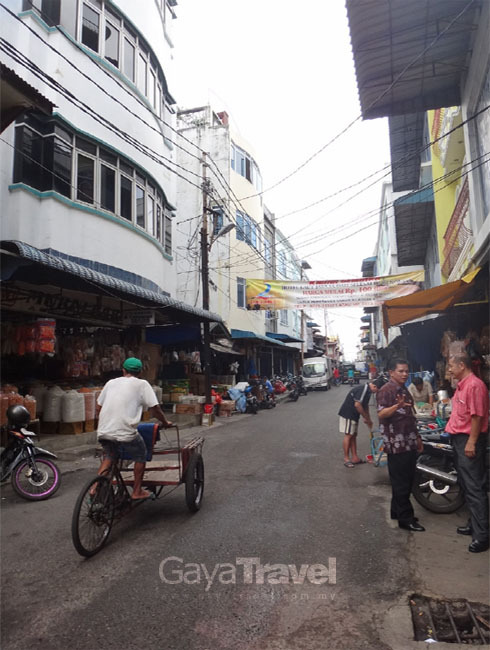 We proceeded to Tanjung Pinang old market to exchange our cash into Indonesian Rupiah and straightaway did our shopping. The old market buzzes with activities since morning almost every day but begins to subside by 3 or 4 o’clock in the afternoon. 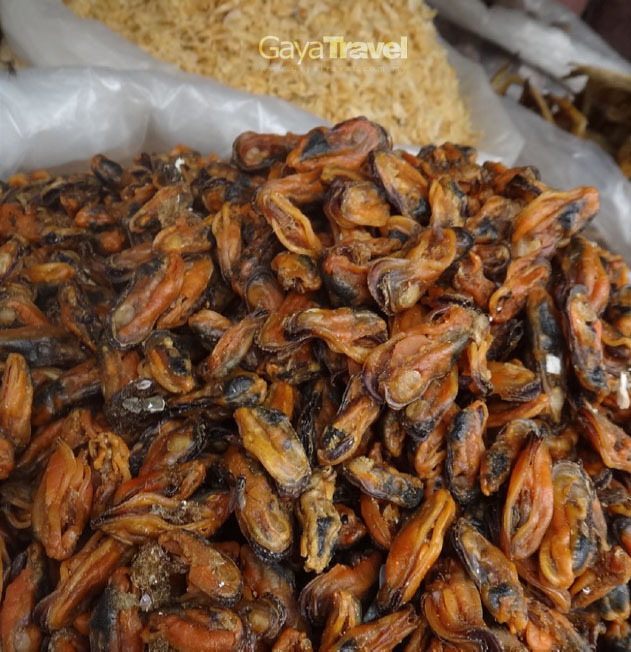 Many shops sell numerous types of dried seafood and varieties of snacks and crackers. Many tourists did not leave this place unless they bought something like dried anchovies that came in many types. However, what amazed us were the many turtle eggs sold here! 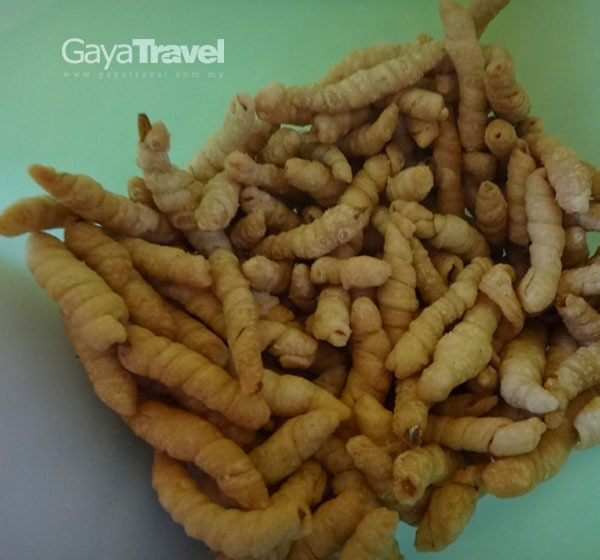 We then dropped by at Dapoer Melayoe, the famous shop that sells homecooked traditional Malay food like snacks and cookies. This shop is very famous and visitors must come to this place when they happen to be in Bintan. 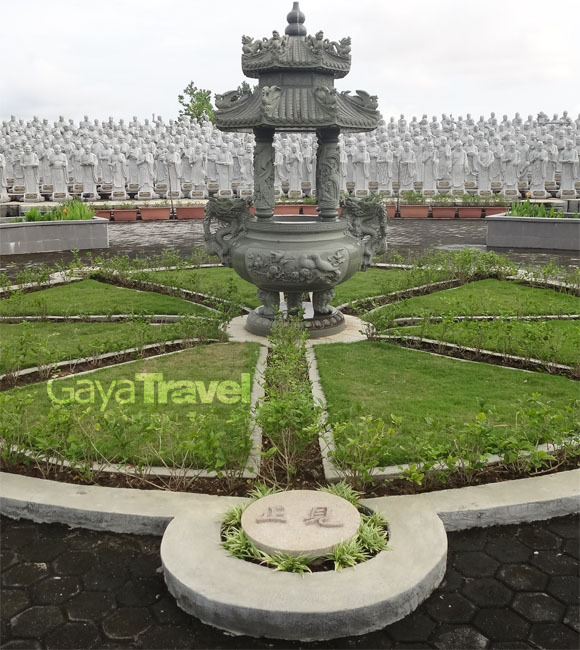 Before checking in our hotel, we were taken to Ksitigarbha Bodhisattva Temple, a huge temple on a hill where 500 statues of Ksitigarbha Bodhisattva in different expressions and poses stand. 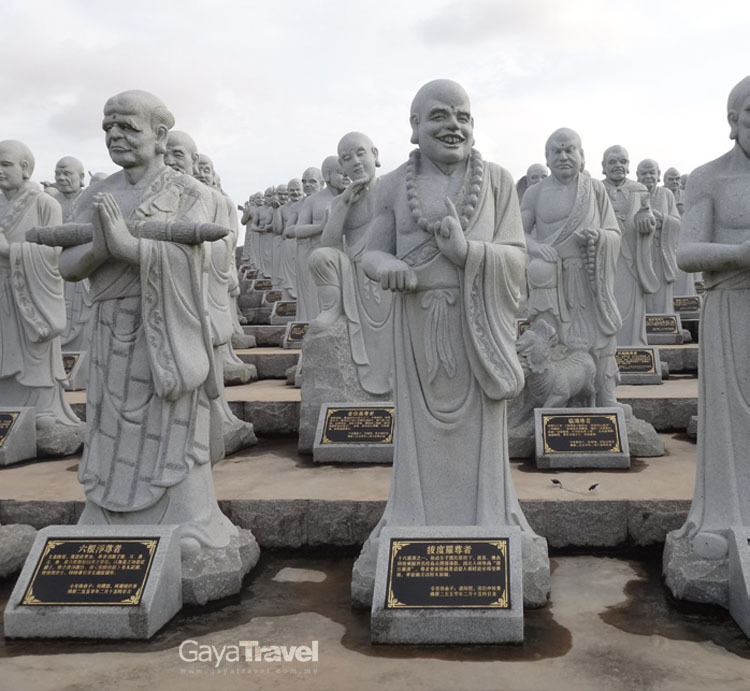 This temple is new and considered as Bintan’s latest attraction. 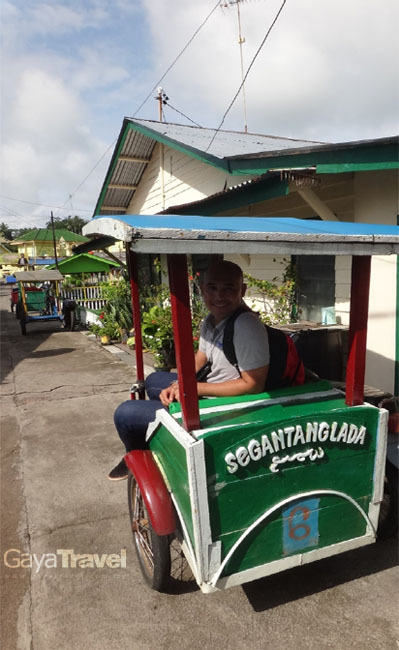 On the very next day, we went to the historical island called Penyengat. This small island has a list of major ruins that are historical. Coming to this island is like stepping back into history. 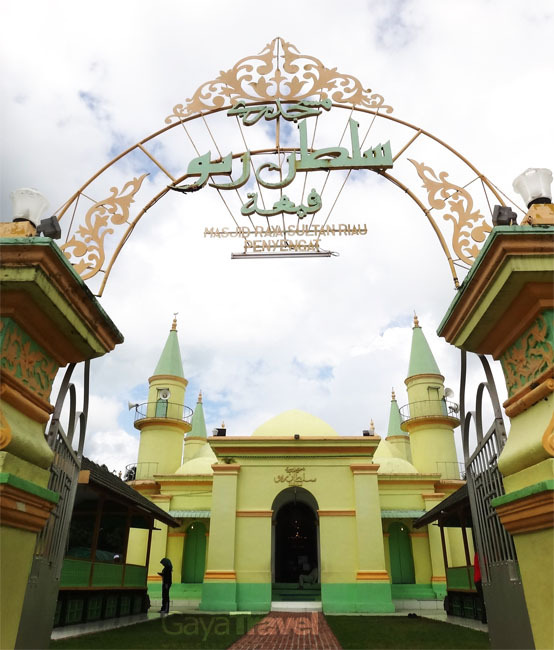 The first thing that visitors will notice once they step on the jetty is Masjid Raya Sultan Riau (the Grand Mosque of Sultan Riau). 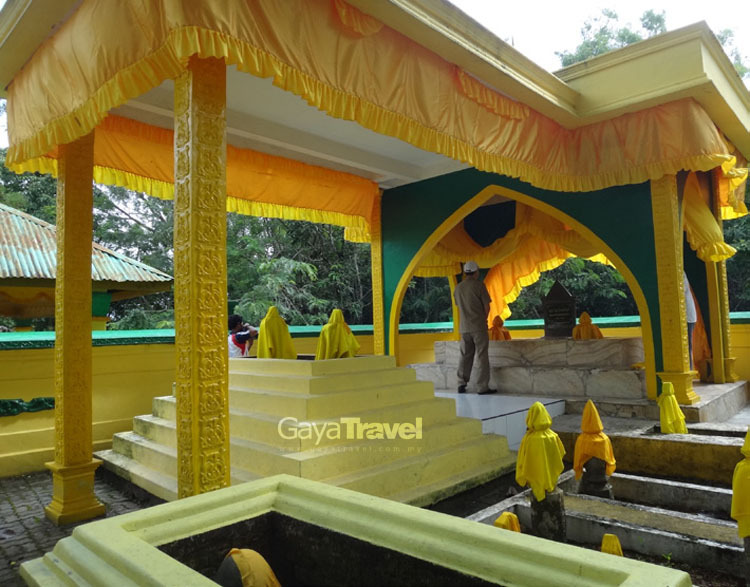 According to legend, Engku Puteri Raja Hamidah, the queen of Johor-Riau Sultanate, the wife of Sultan Mahmudsyah, Johor-Riau Sultan of the day, even used her own hand to build the mosque. Part of the ingredients in building the mosque were egg yolks mixed with lime water and cement, turning the mixture into a strong compound and an enduring material for construction. The usage of egg yolks also explain the colour of the mosque, which is yellow. 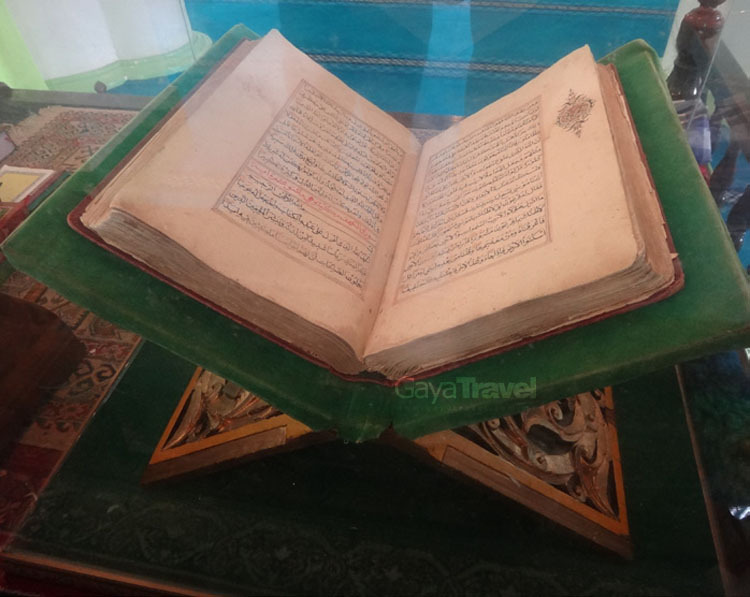 Here in this mosque, you can find a very old copy of the Holy Al Quran, written by Yang Dipertuan Muda Raja Abdurrahman in 1867. He is a prince who studied in Istanbul, Turkey and had transcribed the Al Quran when he was teaching Islam on Penyengat island. Some of the ruins on the islands are the tombs of royalties, leaders and noblemen who played major roles in the history of the Malays. The most notable was Raja Ali Haji, the Malay intellectual who had written a book on Malay Dictionary, later accepted by Malaysia, Singapore, Indonesia and Brunei as the base of their own Malay dictionaries. Other literature works and cultural material that greatly contributes to the enrichment of the Malay language were Gurindam Dua Belas (Twelve Poems), Salasilah Melayu dan Bugis (The Genealogy of the Malays and the Bugis) and Tuhfat Al Nafis (The Precious Gift). 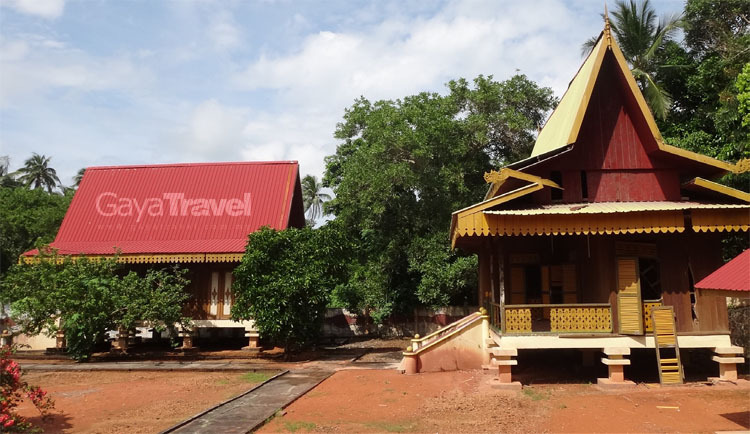 Other than the mosque and tombs, we also explored beautiful old buildings, a fortress and traditional houses, some of which were still standing strongly. Before we returned to Batam, we swung by Balai Adat Melayu Indera Perkasa, a mini museum that displays historical items and traditional artefacts that shaped the culture of the Malays including the wedding costume, the wedding couch, old arts and old decorations. The museum’s charming building used to be a government administration building. 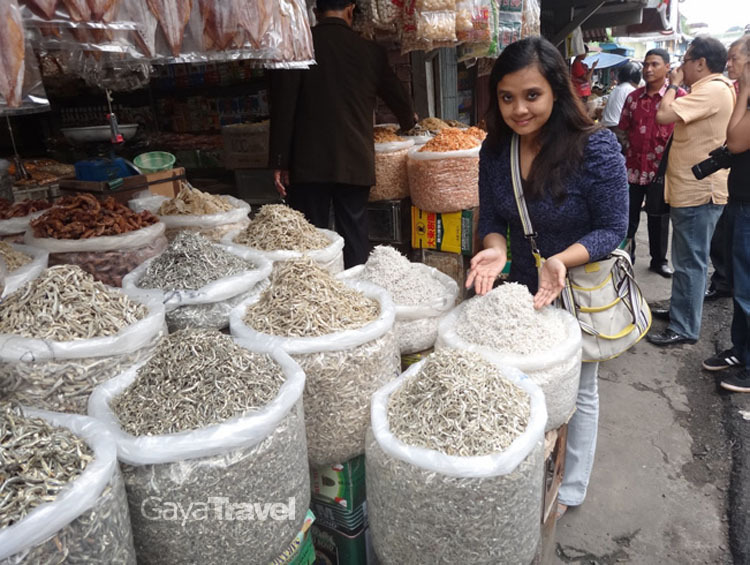 Before we returned to Kuala Lumpur, we spent a few hours on the last day in Batam to experience what the destination is popular about: shopping! Everything is relatively cheaper here than elsewhere. From clothing, fashion accessories, fabrics, handicrafts and souvenir to food! 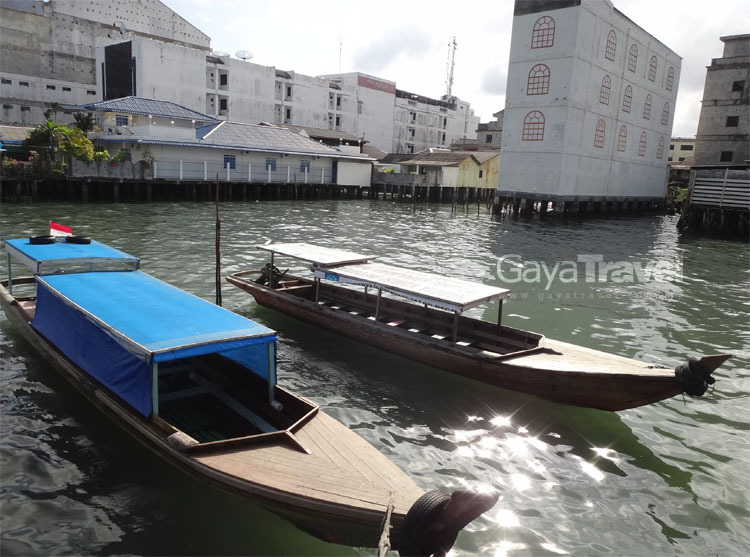 Branded imported items can be very cheap too due to the status of the island as a duty free zone.Visitors also should not miss buying Batam’s popular layered cakes and dragon fruit cakes.